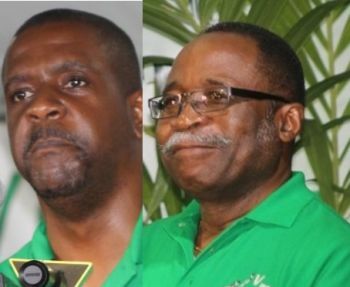 ROAD TOWN, Tortola, VI - The House of Assembly yesterday July 14, 2015 named the members of the Public Accounts Committee (PAC) even though the Leader of the Opposition has not been decided upon as yet. According to Premier and Minister of Finance Dr the Honourable D. Orlando Smith during the continuation of the Second Sitting of the First Session of the Third House of Assembly, the members of the committee are Honourable Andrew A. Fahie (R1), Honourable Julian Fraser RA (R3) Honourable Archibald C. Christian and Honourable Marlon A. Penn (R8). This committee is usually chaired by the Leader of the Opposition and it is unclear how it will function in the absence of the chairman. “Madam Speaker I would like to further state that the Chairman of the Committee has not been selected as yet but that will follow in due course Madam Speaker after the determination has been made about the Leader of the Opposition,” said Premier Smith. Governor of the territory His Excellency John S. Duncan OBE had given the members of the Opposition a month and a day which expires on July 19 to determine which of the two between Hon Fahie and Hon Fraser would be the Leader of the Opposition before he is forced to decide one way or another. However Hon Fraser questioned the composition of the Committee having two of each side’s members. He said that the Committee has always had more members from the Opposition and asked that in the case where there are just two of them, whether the Government side should only field one member on the Committee. Premier Smith in wrapping up the debate on the motion for the Committee said in response to Hon Fraser’s concerns that the Chairman does have a deciding vote if there is a tie. Further, he said that if the Government members’ numbers are reduced, it means that the Committee could sometimes have meetings without a member of the Government present and this was not acceptable. Come on VIP time to stop this sh// the NDP can not wait until you all sort out who will be the leader MR FRASER for peace give it to FAHIE and hope it will put him in the Kingdom. Like it was a tough thing to do? Like some want to have the opposition as a laughing stock. 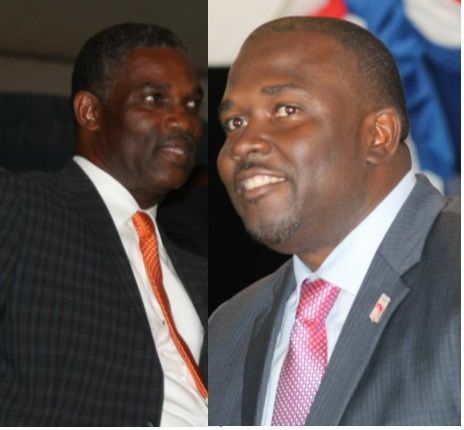 The 11 better have the answers for November concerning the financial centers of the BVI. You mean the other way around. Almost the entire country was saying a vote for VIP is a vote to make Fraser Premier & they don't want that. Now these hypocrites saying leave Fraser as leader. This country has too many hypocritea. VIP should just die in peace and stop delaying the obvious. they are done....Its obvious. Time to give up on them. Let the member for the first know that the fight he started was wrong. He is the one destroying the opposition strength.